Take your animation skills to the next level by learning all about 3D layers, cameras, and lights in Adobe After Effects. Learn all about moving, rotating, and scaling your layers in 3D space. Cameras are the building blocks of creating a 3D space. Learn how to add them and adjust the properties. Parenting 3D layers, makes the position, scale, and rotation of children layers relative to the parent layer. Find out how to replace layers with others, how to get layers to make their own composition and how to treat a precomp like a 3D object. Get into animating our 3D layers and camera - this is where the real fun starts! An essential topic, this episode covers rendering at different qualities, converting to .mp4s and checking what your animations look like outside of After Effects. We introduce light in this episode! Learn all about the various light properties found on a spot light and how to get the look you want. 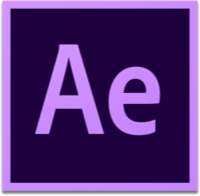 After Effects has multiple types of lights - there's not just a spotlight. We'll explore the various types in this episode. 3D layers have a bunch more settings nested under material options. These affect how layers react to light and shadow, and how these properties affect other layers too. In this video we go over some easy (and productive) ways to do a few camera-related things! One key aspect of good camera moves is controlling the orientation of the camera. We'll discuss how to do that in this episode. This episode focuses on using multiple cameras, different camera angles, and how to transition form one camera to another. It's time to talk about being productive! Learn some tips and tricks to reduce your waiting time when working on complex compositions. If some of your 3D layers are flickering, watch this episode to see how you can resolve the issue! Learn how to make a 3D cube with 2.5d layers. It's a simple technique that can be applied to a lot of different situations.